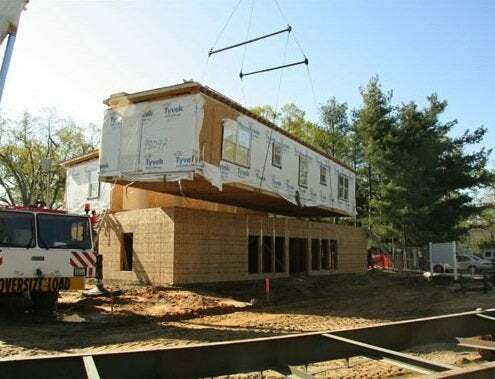 If you’re thinking of building new, you can streamline construction and save costs by going modular. Modular construction has come a long way in the last few years; if you shop around you can find a manufacturer that’s right for you. Some modular companies design homes like cars: ultra-modern, with high energy performance and a few well-chosen options that keep the look high-end while keeping the pricetag at around a hundred-forty dollars per square foot. Others have made a name for themselves basing their designs on older architectural styles: you can order a low-country cottage or a New England colonial so your new home looks like it’s always been there, while using a fraction of the energy of the homes around it. It’s not just the modular product that’s different, it’s the process. By building the house, or at least its building blocks, in an indoor, controlled environment, you don’t see the weather or labor-related delays that you’d see on a normal jobsite. Computer programs help design out most of the waste and repetitive work, so your house can be set on its foundation in a day, with wiring, plumbing, and even kitchen cabinets already installed, and on schedule.